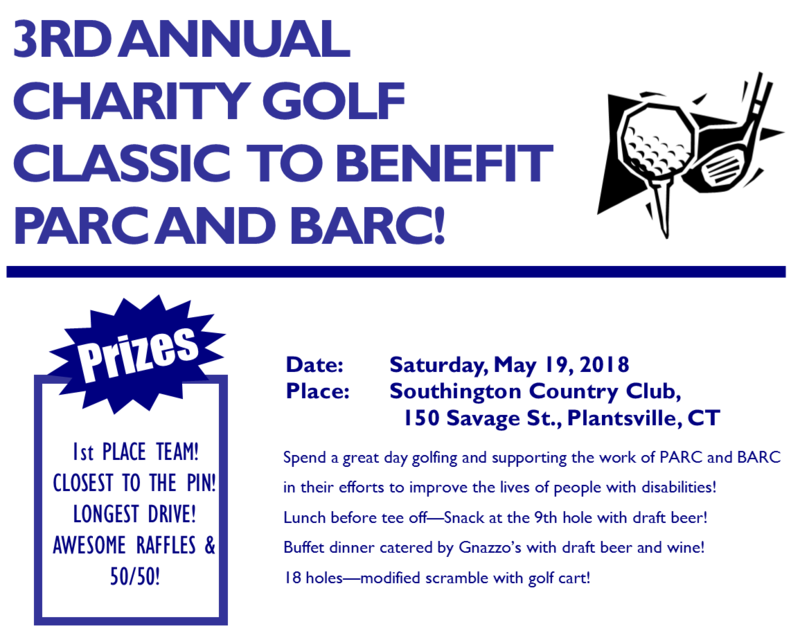 11:00am start - $130 per Golfer Call or email - 860-747-0316, edonovan@parcdisabilitiesct.org Join in the fun!!! 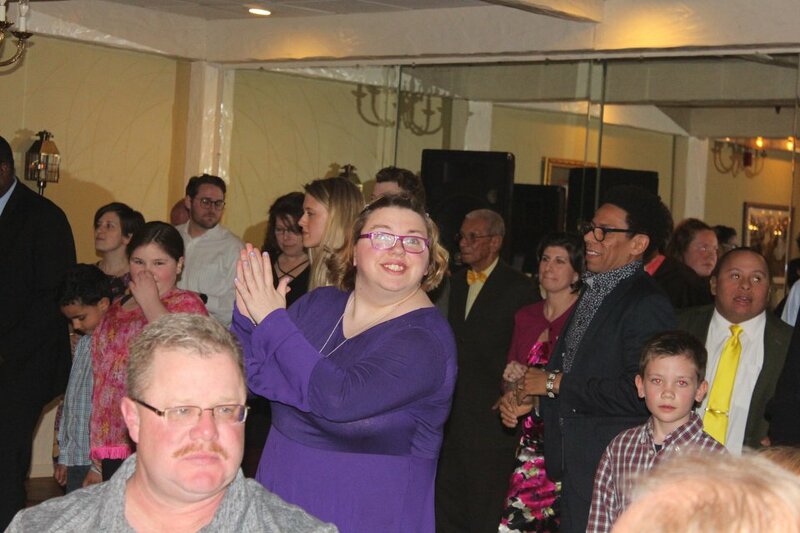 The 2018 Spring Dance was a terrific success! 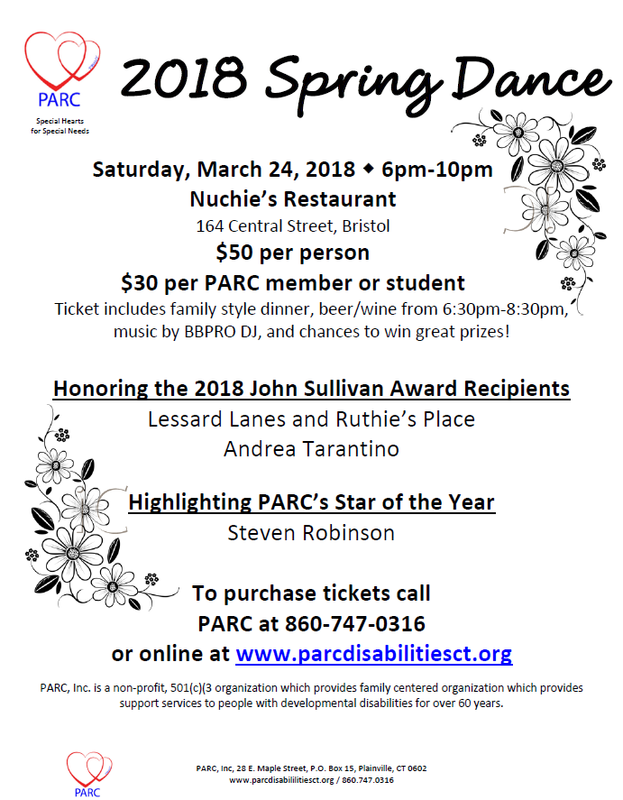 Join us on March 24, 2018 at Nuchie's in Forestville for our annual Spring Dance, including the presentation of the John Sullivan Award and the PARC Star of the Year Award! 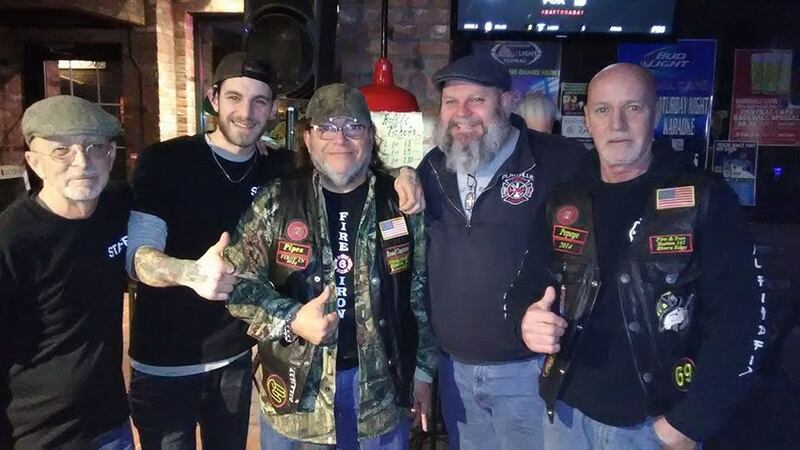 2018 Wing and Chili Event a Success! 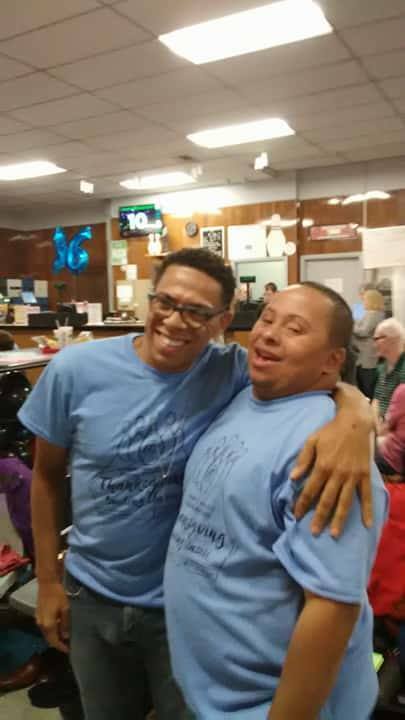 2017 Frank Robinson Thanksgiving Bowling Classic a Huge Success! This year's event was a huge success - and SO much fun!! 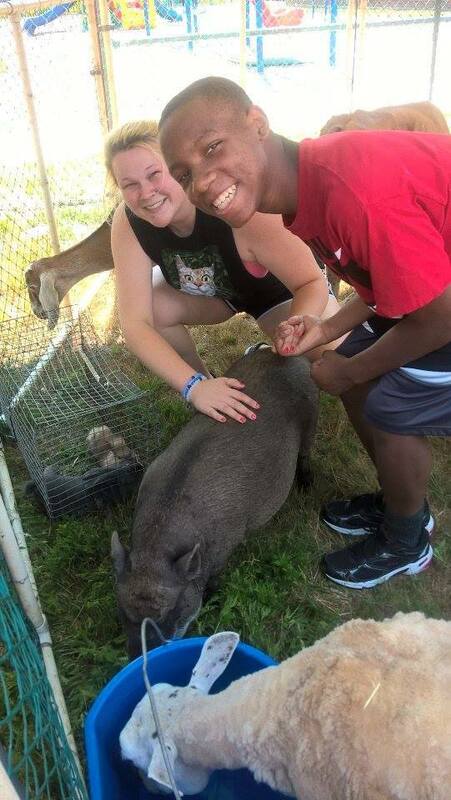 Check out some of the photos here! 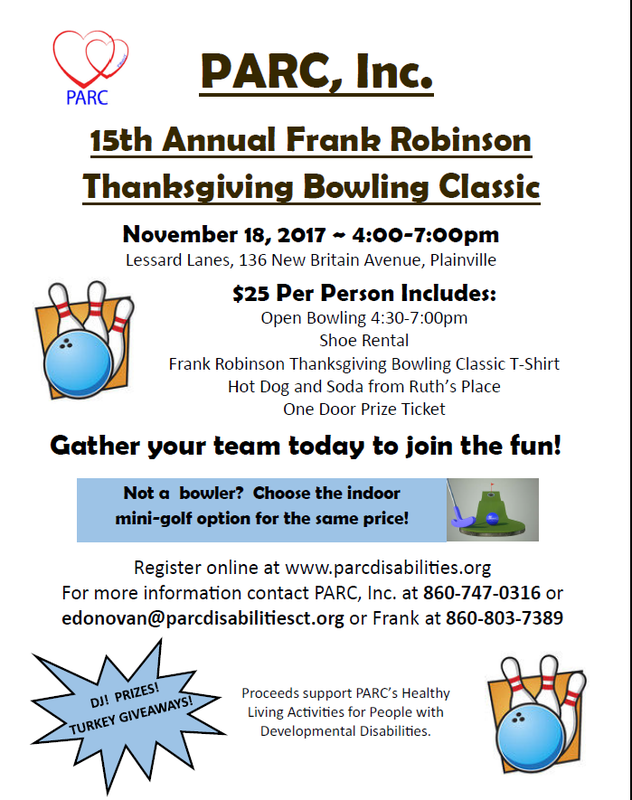 Join us on Saturday, November 18th for the Frank Robinson Thanksgiving Bowling Classic! $25 per person includes open bowling from 4:30 - 7:00pm, shoe rental, t-shirt, hot dog and soda, and a door prize entry! Register online today!! 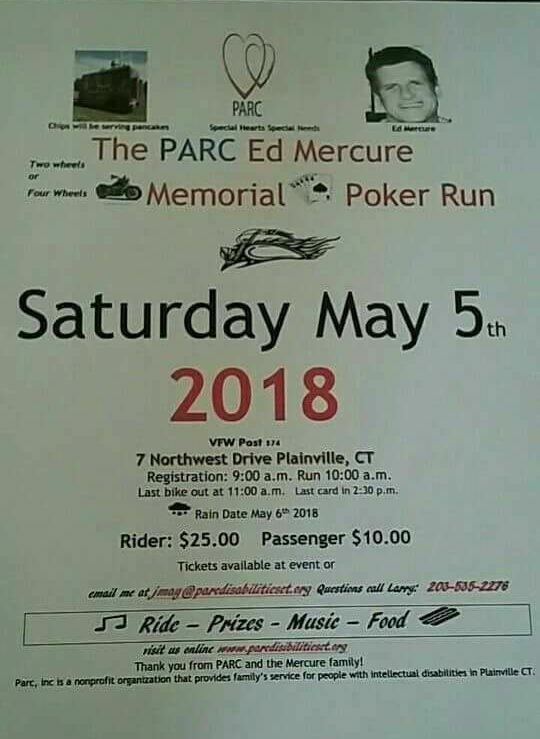 Calling all bikers!! 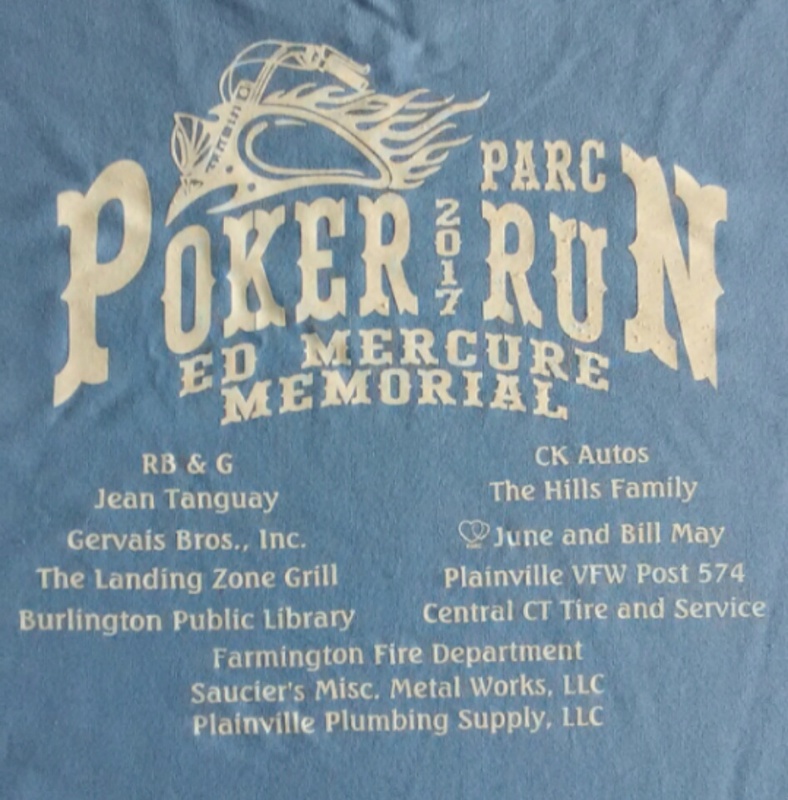 Join us on Saturday, September 30th at 9:00am at the VFW on Northwest Drive in Plainville for the first annual Ed Mercure Memorial Poker Run!! 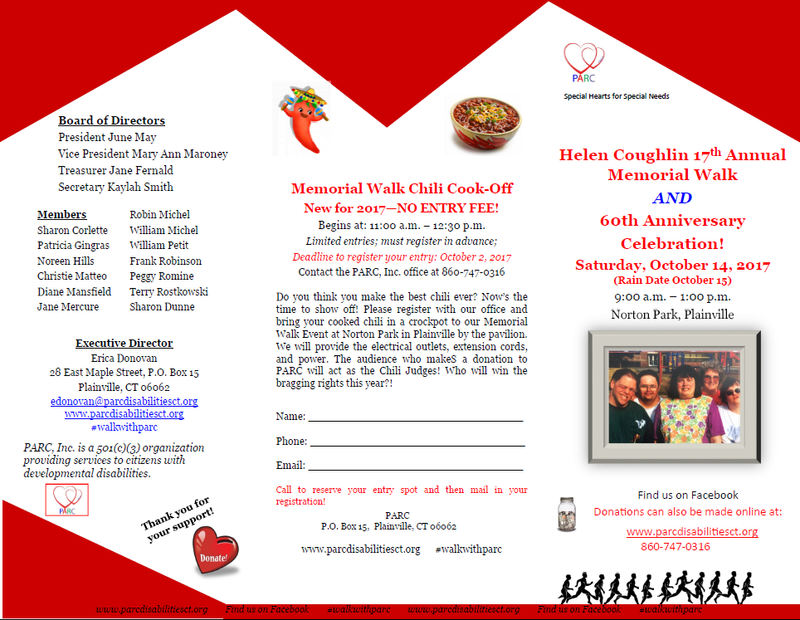 The 17th Annual Helen Coughlin Memorial Walk will be held on Saturday, October 14th at Norton Park, and we couldn't be more excited! PARC is celebrating 60 years in 2017, and we're celebrating in a big way. Join us for this amazing fundraiser and lots of fun! Camp Trumbull Begins July 5th!